​Grateful we were chosen as the first organization out of the Tampa Bay area to receive Target's MLK Community Service Grant. 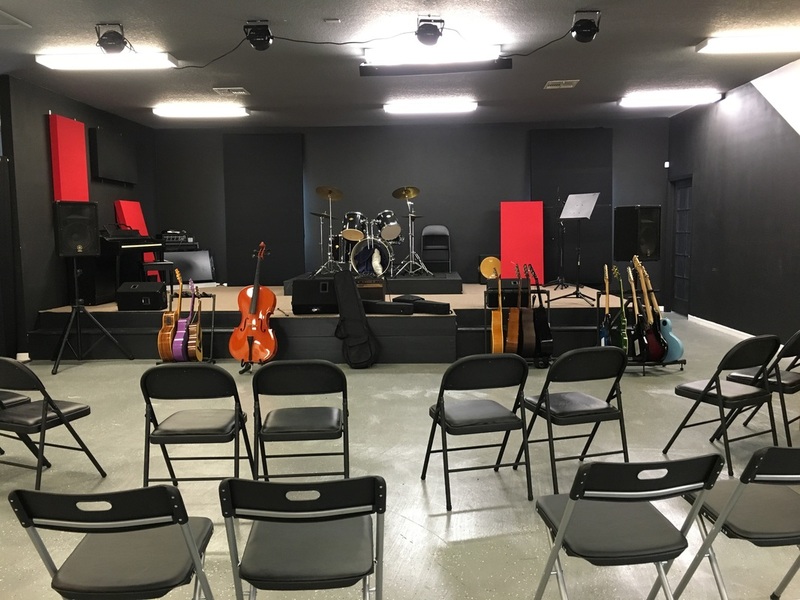 Our facility's spacious layout accommodates a live venue, a rehearsal space for local musicians, a large recording studio with a separate sound engineering room, vocal booth, art and music studios, and a large space for our school. Another aspect to the school are the homeschool programs. These programs allow each student to explore many different aspects of music and the arts, or to concentrate on the one they love the most. Students also have the opportunity to take core classes. Inspire Studios also serves as a headquarters for The Inspire Foundation and hosts a free monthly Autism Sings and Rhythm Time class for children with unique abilities. Inspire Studios is conveniently located off of Hwy. 54 near the Suncoast Parkway in Pasco County, Florida. ​Inspire Studios was created by musical wellness educators Jason and Cristine Rhodes. There are three elements to Inspire Studios, the school, recording studio/venue and the nonprofit foundation, and each were inspired by their own children. "Combining our experience in music and arts, along with raising our own children, including a son with autism, is why we created a place where all children, no matter age or ability, can go to find, explore, and further their interest and love in the arts.” Whether you come to learn an instrument, record, or perform on stage, Inspire is the place to suit your needs. Our vision is to provide a place where all children can grow and learn in an environment surrounded by music and arts. It will include a preschool, special needs classrooms, home school programs, art and music studios, a recording studio, a library, a stage and performance area, an indoor and an outdoor playground that will include equipment for children with unique abilities, including a baseball field, sensory room and much more.